In past years, I have asked the Lord if there was a word for the year that I could hold onto, think about, practice and live. Some of my past words have been joy, compassion, and love. I noticed that each year, the word became a prayer, an observation, a practice and definitely a challenge to live out. I’m curious about this word. What will it mean for me and my year? In what ways shall I savor and delight in the Lord? How can I practice savoring and enjoying moments in my day? What is the Lord trying to teach me through this word? I also have a concern about choosing a word for the year. I have not chosen a word the last two years because, at times, I felt the word became a burden and not a blessing. Can I live up to the word? Then I remind myself it’s practice. I am not always going to get it right. I might miss moments I should savor. Am I going to let guilt get in the way? No! If I enjoy more of my life than I did last year, then I am satisfied. It’s a win. And honestly, the word is beckoning me to commune with the Lord, to savor moments with Him. To enjoy being with Him. I’m looking forward to this year. Have you chosen a word for the year? I’d love to hear what word you chose. I am blogging along with women whom I admire greatly. Grab a hot drink and scroll on through to the next blog, written by the talented Staci Lee, at A Life Developing. ← 10 on 10-Day in L.A. I am excited for your word this year! I am praying you hold it as a guide, not guilt. I always love your honesty here. It is inspiring. What a wonderful word Meg! I can't wait to see where it takes you. 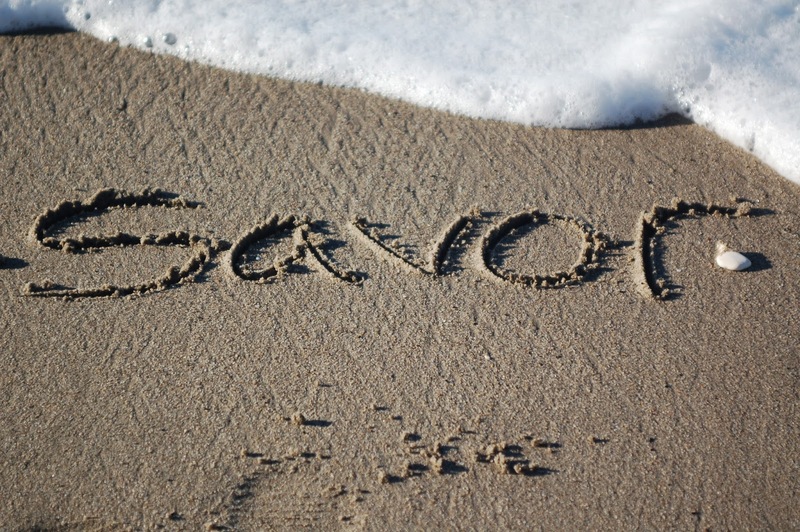 Savor is such a positive reminder of being fully aware and really feeling each moment. Oooh, I love your word and all its implications. I pray that as you savor the ins and outs of your days, and rest and rejoice in His goodness to you, that you would find more to savor than you ever dreamed possible! I savor every moment I get to spend with you. I savor your laughter. I savor your salsa. I savor your passion. I savor your heart.